New Delhi: Students at Delhi's St Stephen's College on Friday afternoon noticed the chapel inside the college premises vandalized. Scribbled in capital letters in black ink across the door were words that said there should be a temple here. 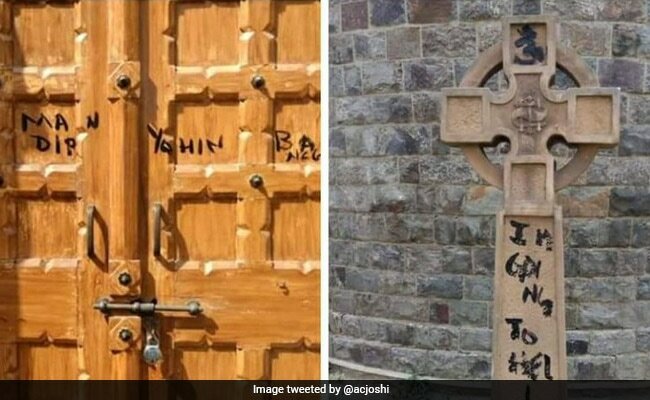 The wooden door of the chapel was defaced with a pro-Hindutva slogan: "Mandir yahin banega". The student Union President of the college told NDTV that he noticed it this morning while walking past the chapel. "Some of my friends saw it yesterday but by the time I saw it this morning, administration had already begun work to take the writing off", he added. The cross outside the chapel had the words "I'm going to hell" written on them. Some students suspect this could be a prank to spread the idea of divisive politics and influence formative minds of a prestigious college. The college administration had announced preparatory holidays for students from April 28, with only those having practical exams attending the college. "This incident at St Stephen's reiterates safety concerns raised by the NSUI. 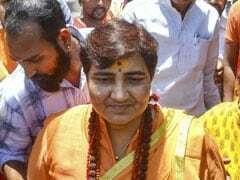 They are in line with incidents organized by right wing bodies ahead of elections. The defacement must be enquired into and guilty be punished," said Midrash Mathew of the Congres-affiliated National Students' Union of India or NSUI.